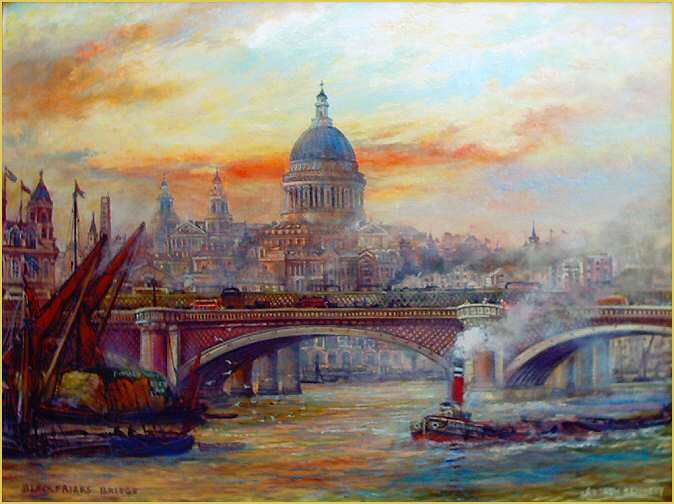 The other building that made an impression on me during my recent trip to London was not a building per se but a structure, namely Blackfriars Bridge which is undergoing a somewhat remarkable transformation from that depicted in the oil painting by Andrew Kennedy above. The original bridge was central London’s third Thames crossing opened in 1769 and was then replaced by the existing structure above 1869. 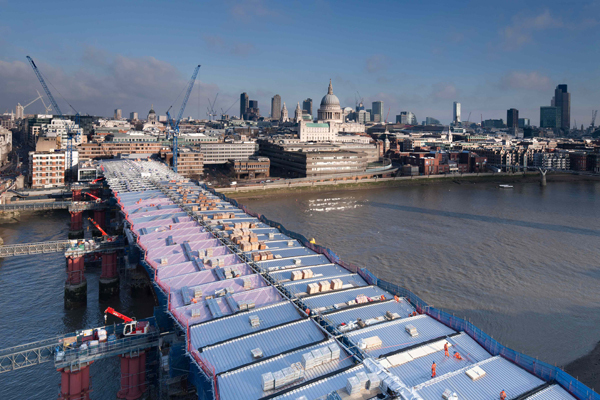 As I walked under the bridge on the South Bank and saw all the scaffolding up I at first thought it was simply the refurb of Blackfriars station with a new entrance onto the South Bank but I was drawn to the staggering amount of building work and wondered what was going on. 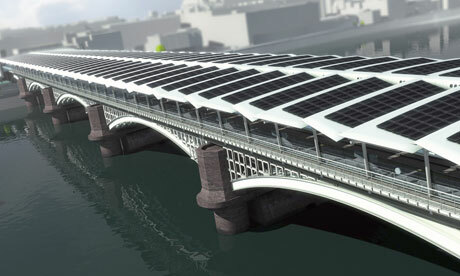 Found out that the whole bridge is being turned into a massive solar electricity generator. Now I’ve no idea what the cost benefit analysis for this work is or how much electricity will be generated but it seems such a staggering simply idea I wonder why we are not doing more of this. At the moment I think there is only one other scheme of it’s kind in the world which is a footbridge in Australia. The new structure might not be quite that of the Victorian bridge but times have changed and the smog and smoke are no longer part of the modern picture either which will be pretty impressive in it’s own right, when it’s completed later this year, I think.